Bangladesh Steel & Engineering Corporation (BSEC) was formed by the amalgamation of the then Bangladesh Steel Mills Corporation and Bangladesh Engineering & Shipbuilding Corporation under Bangladesh Industrial Enterprises (Nationalisation, 2nd Amendment) Ordinance, 1976. Bangladesh Steel & Engineering Corporation Initially started functioning with 62 (sixty-two) enterprises. Afterward, BSEC established one industry named Bangladesh Blade Factory Ltd. (BBFL) in 1984. 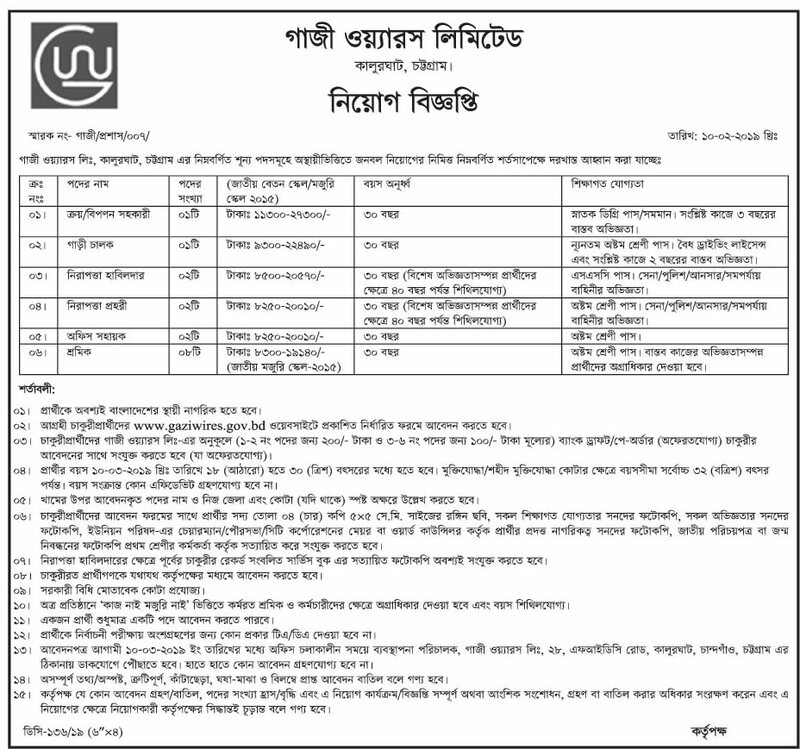 Presently BSEC has only 8 (eight) industrial enterprises in operation amongst which 49% shares of 3 (three) enterprises viz, Atlas Bangladesh Ltd., National Tubes Ltd. & Eastern Cables Ltd. have been offloaded to the general public and employees of the respective companies.If you want to apply for this job, you should submit your application by 10 March 2019.